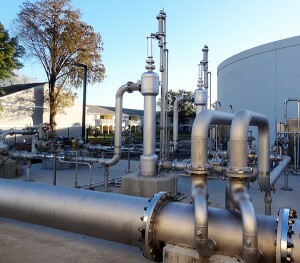 The GDT™ Process starts with the creation of ozone from an Ozone Generator1. 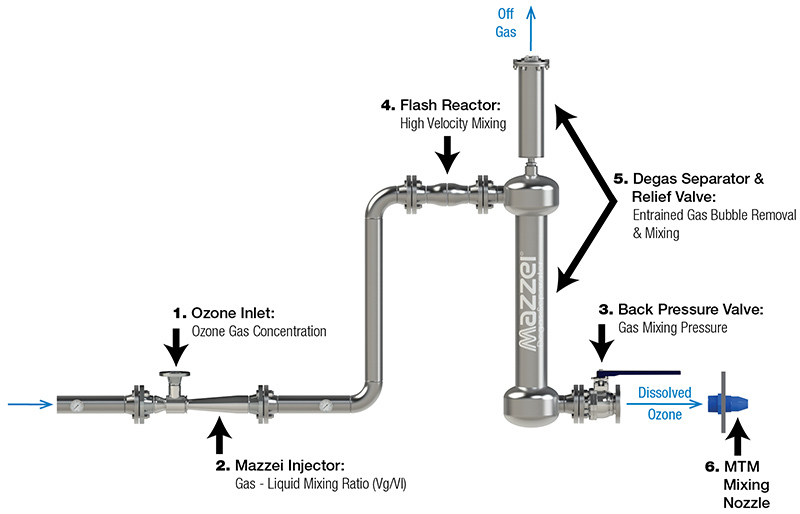 The ozone is then drawn into a Mazzei® venturi injector2 which provides dynamic mixing (a back pressure control valve3 adjusts injector outlet pressure optimizing ozone mass transfer in the system). Then mixing and contacting is enhanced in a flash reactor™4. From there the two-phase flow travels to the degas separator (DS) & degas relief valve5 for additional mixing and entrained gas removal. 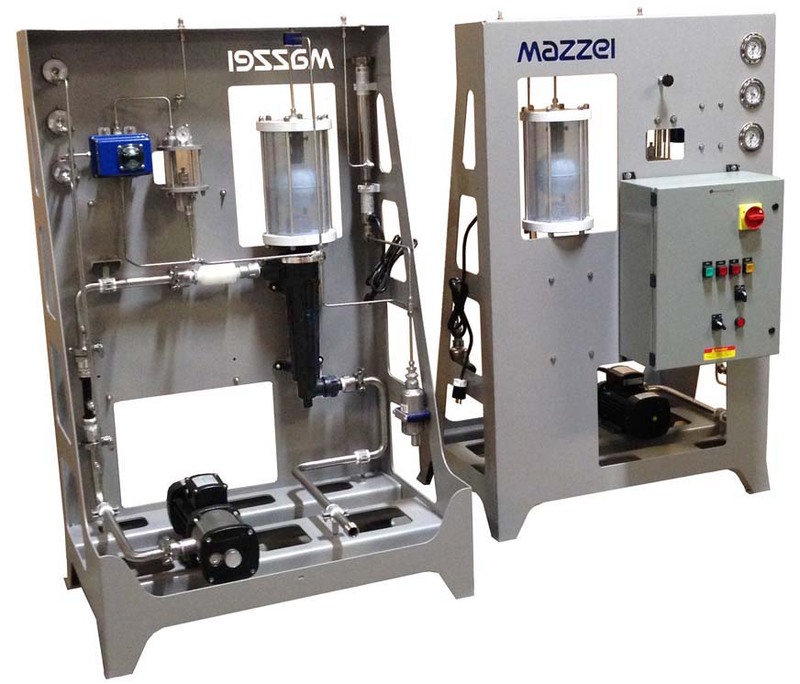 And finally, the MTM mixing nozzles6 force dissolved ozone flow into the untreated water in the pipeline or basin for thorough mixing. Mazzei’s patented GDT Contacting Process. 1. 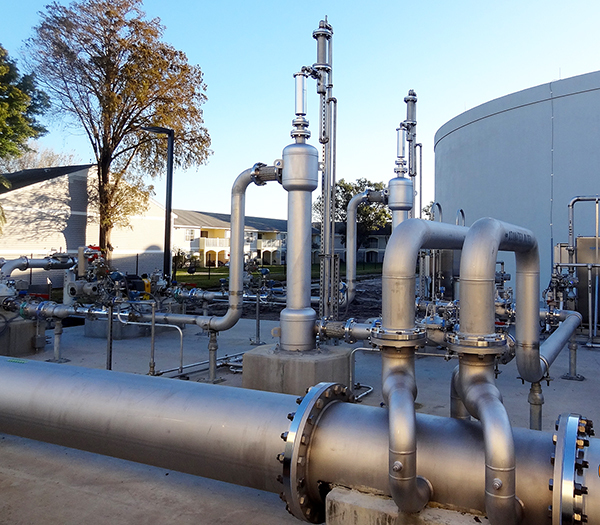 Provide our application engineer with your water analysis: COD, BOD, coliform count, heterotropic plate count, metals, color, pH, temperature, suspended solids. 2. State your effluent goals (for example: desired coliform count < 300 mpn, or to reduce COD 75%). 3. Ozone dosage and ozone system costs are determined. 4. Custom ozone disinfection system design is finalized.